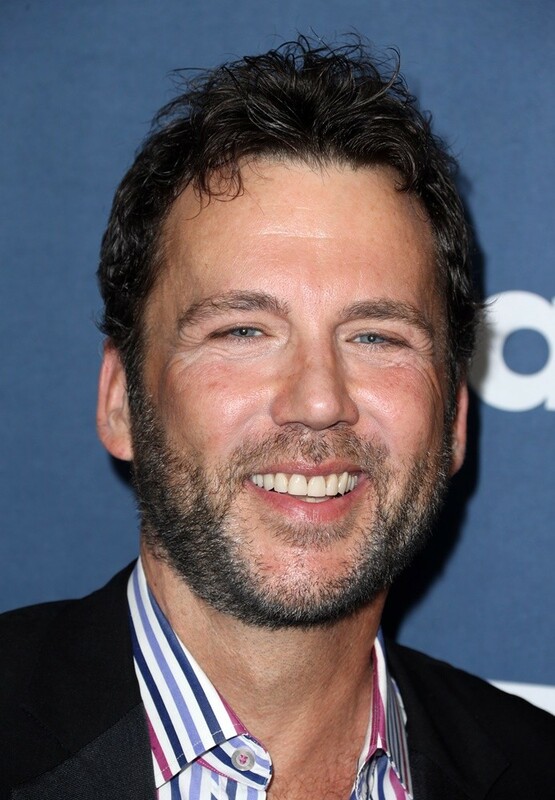 Actor and Emmy-nominated producer David Millbern has identified as gay since his early twenties, but he never considered himself much of an activist. But around two years ago, he was working for Here Media, the company that owned the famed LGBTQ publication The Advocate. It was the 50th anniversary of the publication, but nobody had really planned anything to commemorate it. 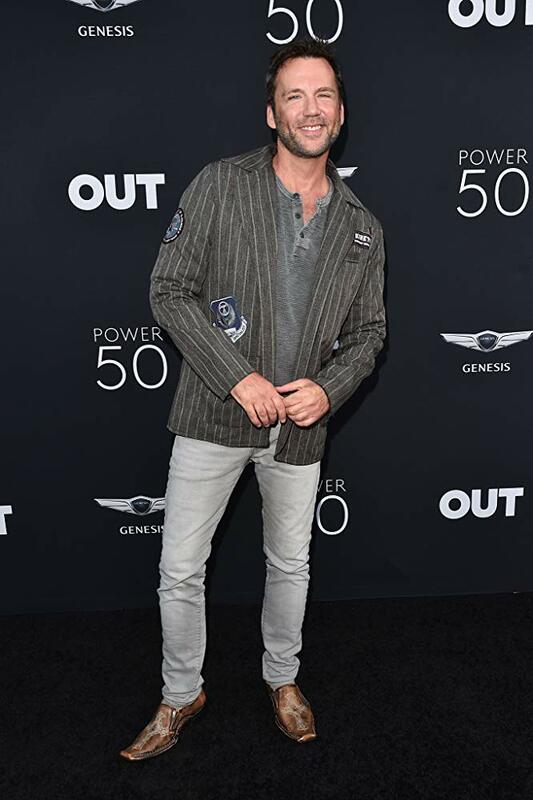 Millbern took the reins and proposed he create a documentary, “A Long Road to Freedom,” to chronicle the last 50 years of LGBTQ history through the lens of The Advocate’s work. 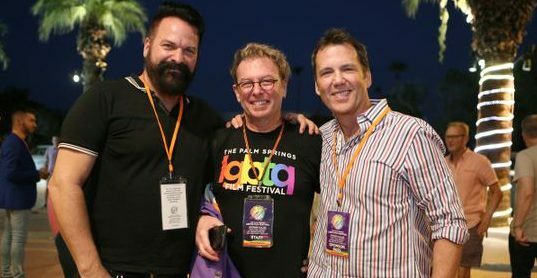 The company agreed and funded it, and Millbern hired Billy Clift, an accomplished gay filmmaker, to direct it (in the photo above, Clift is on the left and Millbern is on the right). As word of the project spread, big names stepped up to participate because they believed in its mission; transgender icon Laverne Cox even narrated the film for no pay. In addition to featuring famous figures, the documentary interviews LGBTQ history-makers, such as 80-year-olds who were on the ground during the little-known Black Cat Raids in Los Angeles in 1967 — a precursor to the famous Stonewall Riots. The documentary recently began a limited theatrical release, and starting January 1, it will be available on all streaming platforms. In the meantime, here’s the trailer. After working on this project and delving so deeply into his community’s rich history — and learning more about the sacrifices made by our predecessors who paved the way for us — Millbern feels a new sense of activism. He’s proud to have created something that will help younger generations understand what it took to get to where we are now, and moving forward, he plans to be more involved in the efforts to maintain our hard-fought rights that are currently under threat. This is Millbern’s story of creating “A Long Road to Freedom” to celebrate the LGBTQ community and the past 50 years of our history. Profiles in Pride: What was your journey to coming out as gay? 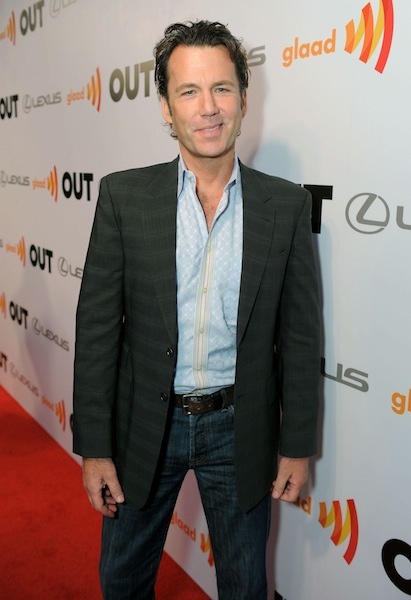 David Millbern: I’ve dated women and had relationships with women. I realized at one point that I really felt more comfortable and desired men moreso than women. I started coming out as gay in my early twenties. But I feel like I’ve never been in the closet, because we’re the same people; it’s like we’re dressed up in different space suits. Some space suits say we’re male and some space suits say we’re female. But inside that space suit, we’re kind of all the same, so I don’t really feel like I hid in my journey, but I was exploring — as I would encourage all people to do — to really find what’s going to make them the happiest. PIP: How did the idea for “A Long Road to Freedom” come about? DM: Well, I’m an actor/producer, and I had been working for Here Media as a development exec. They owned The Advocate and Out magazine at the time. This is going back a year and a half; May of 2017 was the fifth month of the 50th anniversary of The Advocate. I said, “What are we doing for the 50th anniversary?” Everyone hemmed and hawed. I said, “Well, it’s already the fifth month of the 50th year. We should be doing something!” I said that if no one was going to do anything, I was going to shoot a documentary on this. Sure enough, Here TV, the network of Here Media, said, “Wow, this is amazing, we’ll fund this for you,” and they opened up their checkbook. I looked at Billy Clift, who was the director/writer that I’d done a film with (I produced a film called “Hush Up Sweet Charlotte”). I said let’s go with Billy; he’s an amazing director/writer, he has amazing style, and he is gay. Then Billy and I were off to the races and started on the journey of capturing all these people. The film itself is based on a little known raid called the Black Cat Raid that happened on January 1, 1967. It was New Year’s Eve and raids were happening around gay bars in the Silver Lake area back in that time. The story that’s really told in this film is that everybody knows of Stonewall in ‘69, but they don’t realize that the LGBTQ rights movement actually started two years prior to that right here in Los Angeles in ‘67. I think New York was the mecca at that time, and LA was just kind of a sleepy town, so Stonewall was able to be pushed out in the PR machine two years later, whereas the LGBTQ rights movement actually started here two years earlier. That’s not to dismiss the importance of Stonewall, and we cover that in the film, but this is the story we tell here. The police would let you go if you only kissed for three or four seconds. But it was New Year’s Eve and people wanted to celebrate a little bit longer with their loved ones, so the kisses were extended. That’s when the police went in and really beat up many of the patrons and arrested people. So a couple months later, around 500 to 600 gays, lesbians, and allies did a silent protest where they couldn’t stop because they’d be arrested for loitering, and they couldn’t yell or talk or shout. Out of that, The Advocate was formed. The Advocate is really the only media that has been there throughout these entire 50 years; nobody else would cover these issues. But The Advocate was formed to cover these issues. That was a wonderful way to hang our hat on The Advocate and to celebrate them. I feel very fortunate that we could highlight and celebrate The Advocate and also tell our story. 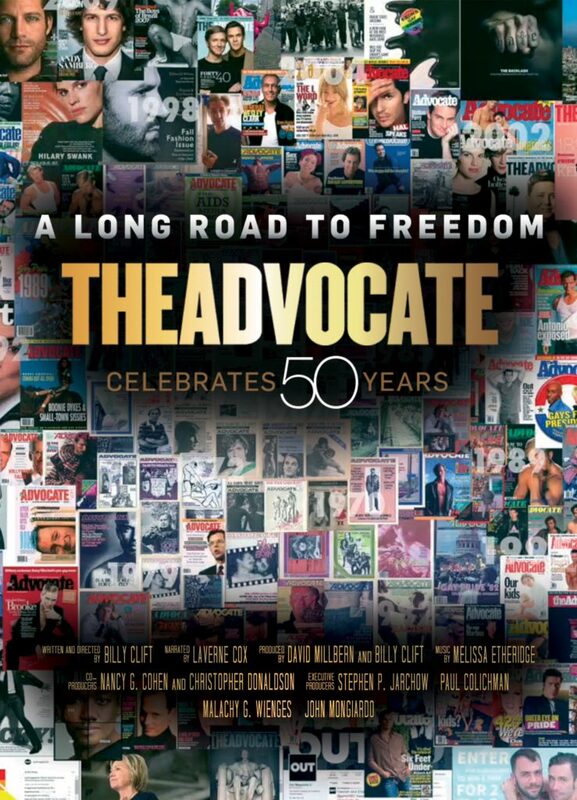 PIP: Is the documentary more about LGBTQ history or The Advocate, or a blend? DM: It’s the history of the LGBTQ community, but The Advocate served a framework as the only media that was there. So we were able to access their archives and Here TV’s footage and really get in there and tell the story. There was no other publication around that would help tell our story, so it was really a nice marriage of both The Advocate and LGBTQ history. PIP: With so much rich LGBTQ history to choose from, how did you decide who to interview and what stories to tell? DM: It’s interesting; there were 50 years to cover, but once we got going and the synergy started happening, people started coming on board. Bob Greenblatt, the then chairman of NBC Entertainment, called me and said, “David, I hear you’re doing a documentary and I want to be a part of it.” I said, “Wow, OK, we’ll shoot you on the new old set of ‘Will and Grace,’” so we did! We have a lot of celebrities, but more interesting and more appropriate, we have the 80-year-olds who were on the ground in 1967 telling their stories. They weren’t 80 then; they were young activists. It’s important be able to capture those stories and to be able to honor them. We stand on their shoulders as LGBTQ folks today, because back in 1967, they were putting their lives on the line; they were putting their livelihoods on the line. They would have been thrown out by their families or lost their jobs by carrying those signs and openly saying, “We’re not going to take this anymore.” We chronicle so many of those older folks in the film. There are just so many beautiful points in the film, it’s hard to just isolate one or two. One woman, the first openly gay super model, Patty Harrison, passed on during the filming. We did a little tribute to her; she was part of a comedy team called Harrison & Tyler who had their own variety show. Many of these people aren’t going to be around for another year or two. PIP: What effect do you think, or hope, this film will have? DM: I know that by capturing the history to this point, it will serve as an honor to those people, but also I think it will educate young people in the future that this is what has gone on before them. It’s not about the next cocktail or martini. As we see our hard-fought rights being threatened, it’s more timely than ever that we capture and celebrate these folks that have come before us. PIP: Do you see yourself becoming more of activist after working on this project about LGBTQ history? DM: I do. I’m an actor, and a couple years ago I got an Emmy nomination for something I produced called The Ribbon of Hope Celebration, which highlighted HIV and HIV awareness in TV programming. I lost out to the Macy’s Thanksgiving Day Parade! But from that moment on, and certainly getting involved in this film, I think we have to come home to who we really are and those folks who have given and sacrificed so much for us to be where we are. And I mean, marriage equality — whoever thought that would happen? The film is really a call to action to say, you know what, we may be losing our hard-fought rights at this moment, so we’ve gotta get out there and continue to fight and not back down. Especially in the transgender world; they really need our help. There’s a wonderful phrase we say all the time: “gay straight black white, same struggle, same fight.” That’s really the truth in this film as well; we go into Black Lives Matter; we go into women’s empowerment. If we don’t show up for each other and band together, it’s not just the PC thing to do, but it’s the right thing to do. It’s what we need to do to make sure that all of our rights don’t go away. PIP: Absolutely. Where and when can the public see the “A Long Road to Freedom”? DM: It went into theatrical release on November 13 across the country in select theaters, and there will be a slow rollout. Then on January 1, it’ll be on all streaming platforms. It’ll eventually be on Here TV, and Here TV is going to give it away for free so young people can see this. We hope to give it to universities and schools. You’ve got to understand, everybody donated their time. Melissa Etheridge looked at the project — I wanted her beautiful song “Uprising of Love” for our end credit crawl song. That’s the only song I ever saw for that spot. I got to her people and they said, “Absolutely, she will give this song.” Laverne Cox, our narrator, totally worked for free. Everyone donated their time because they really saw the mission; they saw the statement and the importance of a film like this. I was thrilled — sitting next to me at the premiere at the Motion Picture Academy in Beverly Hills this summer, was Bruce Cohen, the producer of “Milk” and “When We Rise.” He said, “David, you got it right! You got it right!” Here’s the man who’s done it so right in story form, in these two wonderful stories, turning to us and saying we’d done it so right in documentary style. Same with Gloria Allred, who’s also such an ally and women’s rights activist. She was in tears at the end of the film. She’s so important to all that has gone on for marriage equality and also women’s rights. PIP: Is there anything else you’d like to share before we go? DM: Yes, I really celebrate you too, Emily, because it’s folks like you who are also doing their part. I think it’s important for people to do what they do. You’re a writer, so you’re doing what you do — you’re writing about your passion and what LGBTQ means to you, and you’re part of that mission too. I think films like this demonstrate that with courage and resilience, we can conquer anything. As bad as things seem now, we’ve been here before. And we hope this film will not only educate, but serve as a call to action for a new generation of activists. Next Post Announcing Our Holiday Giveaway with Buck Angel: Launches Today!